The idea of a discrete website solely for recruiting goes back only about 15 years, but a lot of innovation has taken place in that time. By making their own advances and following the latest technology, smart recruiters have created compelling destinations for job seekers. Here’s a quick look at how careers websites have evolved and where they’re headed next — and how you can be part of the conversation. In the beginning, careers websites were little more than online recruiting brochures with job listings. Progressive companies may have added a search function, some pictures, and possibly boilerplate text that talked about opportunity and growth, but mostly the sites were uninspiring. That’s because organizations didn’t think they were that important. Recruiters were experimenting with job boards like Monster and CareerMosaic, and were putting time and energy into online classifieds. 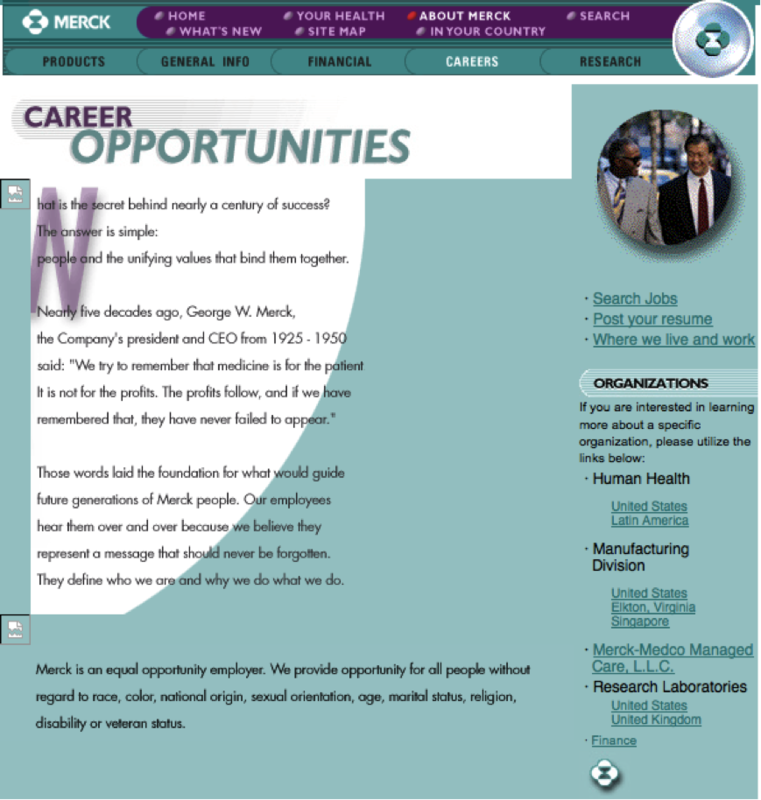 Eventually, careers sites grew and added sound, videos, and other bells and whistles. Job boards still reigned, but careers sites were now supplementary destinations, able to adequately inform job-seekers, if not entertain them. Then along came social media, and the whole paradigm shifted. Because social channels allowed for conversations with job seekers, not just one-way announcements, organizations found themselves answering questions, congratulating new hires, and handling complaints in real time. They also needed to produce content for all these channels, which meant interviews of top executives, photos of offices, and videos of employee parties. Just when HR teams had Facebook and Twitter figured out, Instagram, and Pinterest came along, requiring even more visual content. And then Instagram added video and Twitter added Vine, turning recruiters into filmmakers. Careers sites had to change as well. 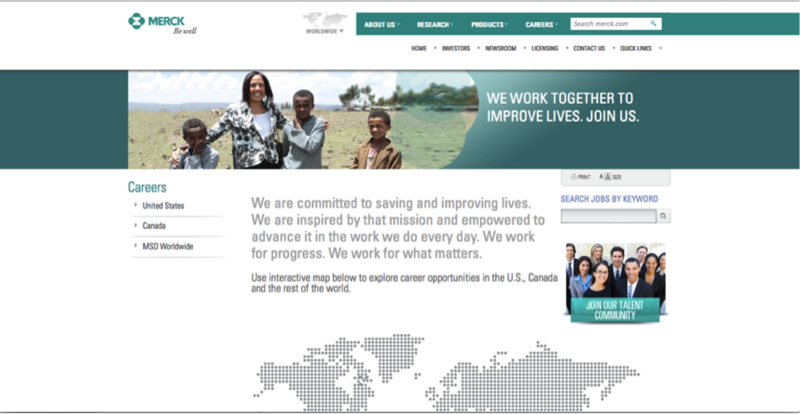 They suddenly needed to, as CareerXroads put it, “follow the job-seeker … connect with them and address their needs and concerns.” The sites became more interactive, giving visitors more choices for content. Three employee videos testimonials are nice … but if an organization has 10 major divisions: shouldn’t each division get their chance in the spotlight? Job-seekers would complain if they felt their field or career path was given short shrift — and on the company’s very own social channels. Adding to the complexity, there were more opportunities to create career microsites and host them elsewhere, such as on job boards, LinkedIn, and Glassdoor. Now the best recruiting sites are just as elaborate as their companies’ consumer-facing sites, with strong branding, rich media, multiple social channels, special content, and continuous updates. And just as mainstream websites have gone mobile, careers sites are now optimized for phones and tablets, letting job-seekers search jobs and even apply without ever sitting down at a desktop (which is what job-seekers want). Where do careers sites go from here? It’s anyone’s guess. On October 23, I’m presenting an ERE webinar on this subject and I’m looking for people to speak with, careers sites to feature, and questions to answer. Won’t you weigh in by taking this brief questionnaire?